Ram Trucks or simply RAM - the manufacturer of full-size pickups, owned by Fiat Chrysler Automobiles. In 2011, it was allocated to a separate company from the Dodge. Vehicle type - frame, cargo pick-up. Suspension - mixed (front - torsion, rear - leaf springs), or front - spring on the models of the third generation and fully spring on the models of the fourth generation. Drive type - all-wheel-drive or only rear-wheel drive. One of the few representatives of full-size pickups, to this day is produced in the US and Mexico plants. He made his debut in 1981. 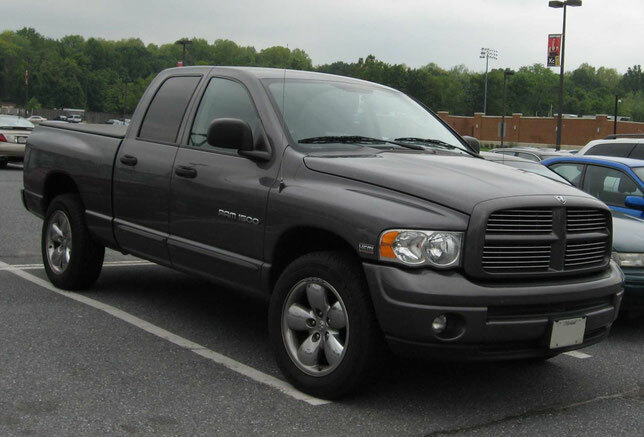 The main line of produced modifications of the pickup is represented by three models - the Dodge Ram 1500/2500/3500 (until 1994 - 100/150/250/350). Graduation is carried out in accordance with the carrying capacity of the vehicle in pounds. Historically, for full-size pickups, this is half a ton, three quarters and a ton (the actual payload increases with each generation). Since 2008, the line of pickup trucks has been continued in the line of full-value Dodge Ram trucks, Dodge Ram 4500/5500 trucks have been produced.